Export University - Is Exporting for Me? 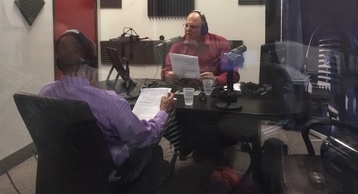 Photo above - Carlos Figari, Director, SOCAL VBOC, hosts SBARadio Show, at the WSRadio studio. Thank you Carlos for standing in for Ruben Garcia as the SBARadio Show host. Small Business Industry Trade Day was hosted by: U.S. Customs and Border Protection to provide information to small businesses interested in or already involve in international trade. The focus was on rules and regulations pertaining to importing, however, a small business resources panel provided information about resources available to assist with all aspects of international trade. Photos above: Tony Wilkins, host, Internet Radio Show: Small Business Forum Radio, author and columnist, presenting workshops at SBA San Diego District Office. Tony Wilkins presented two workshops at the SBA San Diego District Office, on March 21st, Increasing your supplemental income-Top ways to generate revenue in 30-60 days and Influential Networking and Selling: How to grow your business and increase revenue in 30 days. We look forward to having him back again in August of 2017. Photo above: (Top) Victor Castillo, Director, San Diego CITD, provided opening remarks and a presentation on Assessing and Planning Your Export Potential. Photos above: (left to right) Cynthia Harris, SBA District International Trade Officer, provided an overview of SBA's programs and services, highlighting export assistance programs; Jim MacClellan, Director of Trade Development, Port of Los Angeles, gave two presentations, one on Exporting to the World from Southern California and the other on Producing an Export Business Plan; Phillip Finiello, Commercial Officer, U.S. Commercial Service, provided an overview of programs and services offered by USCS, to assist exporters both domestically and overseas. 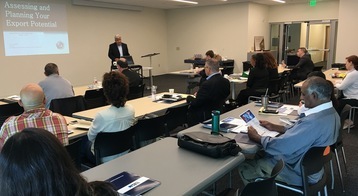 The San Diego CITD, in collaboration with the Port of Los Angeles, Port of San Diego, U.S. Small Business Administration San Diego District Office, U.S. Commercial Service, San Diego & Imperial District Export Council, and the World Trade Center San Diego, is hosting a series of advanced workshops called Export University. Workshops in the series are designed to help U.S. companies optimize their export potential and increase international sales. 4240 La Jolla Village Drive, La Jolla, CA 92037. We look forward to seeing you at our Awards Luncheon. Hanging Secrets, which offers women a new solution to hang, organize, protect and find their lingerie at home or on go is now available on HSN through Project American Dreams, a business competition for Latina/Latino entrepreneurs. Prado is the daughter of immigrant field workers and today is among the 3 percent of Latinas ever granted a patent in the United States. March 22, 2017 was SBDC Day. 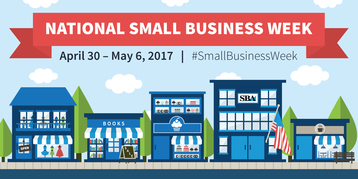 A national, collective proclamation of the success and impact of America’s Small Business Development Centers. 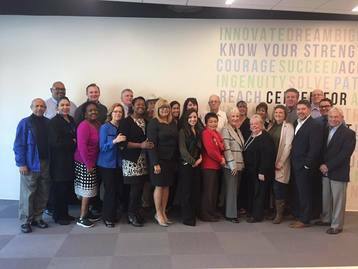 Did you know that in 2016 SBDCs…..
Photo above: The people responsible for producing results for the San Diego and Imperial Valley SBDC Network. The SDIVSBDC Network conducted 306 training events, with a total of 3,749 attendees, and counseled 1,741 clients, in 2016. As a result, The Network assisted 97 start-up businesses, generated $24.5 million in capital infusion and helped create or retain 275 jobs in 2016. Imperial Valley small business owners and entrepreneurs once again have a local organization hosting the Small Business Development Center in Imperial County. The San Diego and Imperial Small Business Development Center Network, hosted by Southwestern Community College District, earlier this year awarded a sub-recipient agreement to the Imperial Regional Alliance to be the host for the Imperial Valley SBDC.